Honest: I can’t remember having a pedicure in the last 5 years. That may sound silly and trivial for those who would never think of setting foot in a salon, but manicures and pedicures have become a huge part of western culture. Several of my friends get pedicures regularly (every month or so), or treat themselves at special occasions- maybe once or twice a year. My avoidance of pedicures is a combination between my disgust in the toxic smells that waft from those places, and the fact I am very low maintenance. This ‘strike’ (slightly over dramatic) wasn’t intentional; I just never thought about it, and when I did, I realised I didn’t want to have toxic creams and paint on my body, or see chemicals travel down drains and into the environment because of me. I thought I would never get a pedicure again, but it’s 2019: the future is here. Sustainable salons exist. Feeling smug with my herbal tea in Bat Your Lash Salon. Bat Your Lash, a sustainable salon, invited me to visit them to check out how they do things the ‘eco-way’. The stars aligned, as even though I am based in New Zealand, I was heading off to Melbourne the very next week. I said yes, I’d love to. Based in Prahan, Melbourne, Bat Your Lash do things differently. For a start, the words ‘eco-friendly’ ‘chemical free’ and ‘vegan & cruelty free’ greet you on the front of their salon door. They hold these values at the core of their business, and consistently keep up to date with ways to reduce their impact even further. 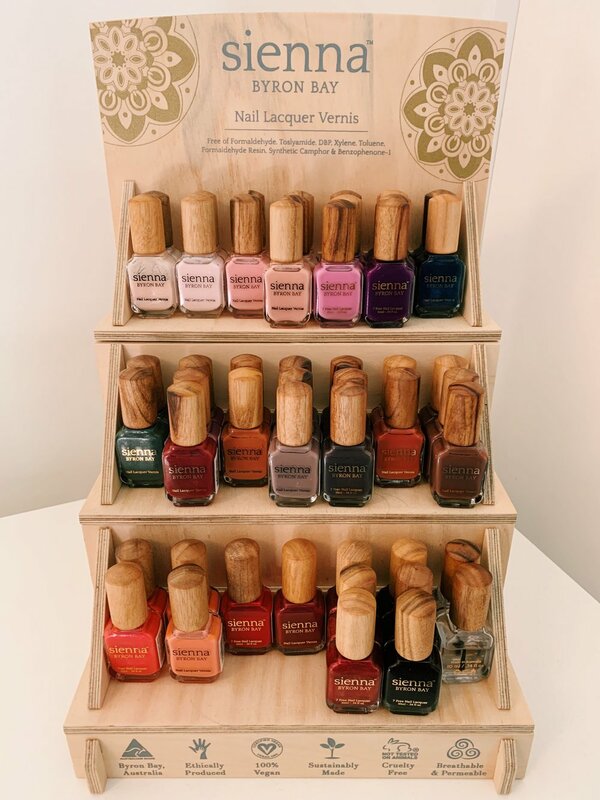 For nail painting, they use one of my favourite sustainable nail polishes, Sienna Byron Bay, and all products used in my pedicure treatment (including the bath salts, moisturisers, and scrubs) were natural brands that I already knew from my research in the eco-beauty space. They got the tick of approval from me! It was lovely to chat with Dani, my beauty therapist (oh gosh I sound fancy) and overall inspiring woman in business. She talked about their new affiliation with Sustainable Salons (who dispose of all their materials responsibly), their eco-friendly toilet paper from Who Gives A Crap and even how they compost. Bat You Lash have a simple ‘Green Fee’ which covers the expense of doing things properly. In my humble opinion, although this particular treatment I had was a gift from them to me, I would pay this Green Fee in a heartbeat. After 4 years deep in the eco-living space, I understand the true cost of eco-friendly products and practices is far greater than $2 per treatment, and admire businesses who hold true to their eco values, when it would be cheaper to let them go. Thank you Bat Your Lash for a wonderful experience. I will be holding out for the next time I come to Melbourne until my feet are pampered again! If you’re in the area and need some ‘eco-self-care’, visit Dani, Nadia, Ashleigh and the Bat Your Lash team: give them a big hug from me.